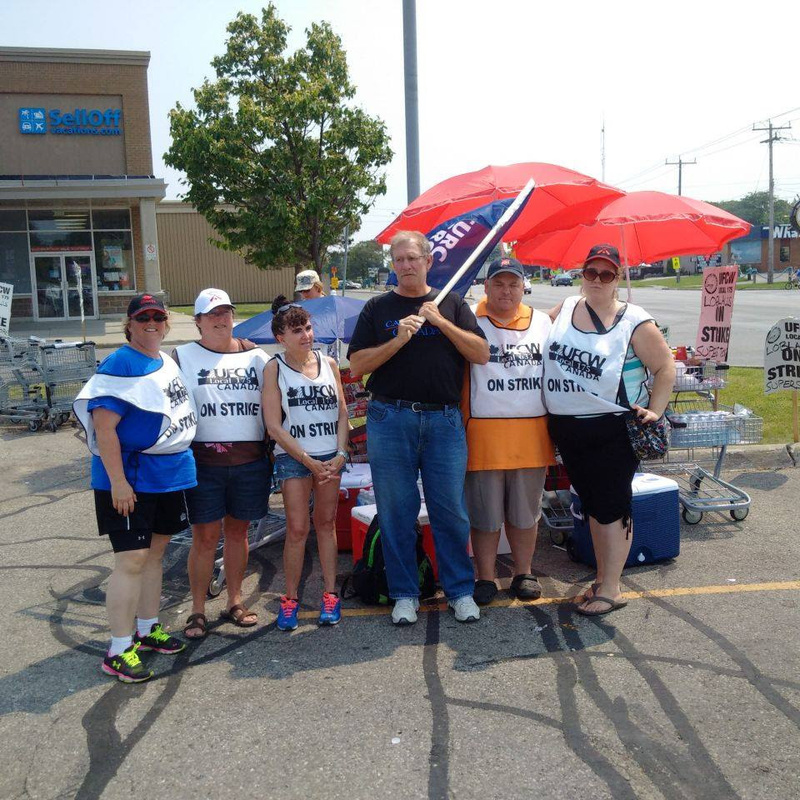 July 8, 2015 – Sarnia Area President Ted Hext was among those out in support of the striking UFCW Sisters and Brothers at the Real Canadian Superstore in Sarnia. Most of these workers make minimum wage or just above, but most disturbing is that the company was offering 20% cutbacks to the workers’ pensions and 10% cuts to those already on pension. This is a growing trend.